Weighing in at only 11.8%abv, this seemed early picked in style for a gewürztraminer wine (aka traminer). Gerwürtz classically produces full bodied styles of wine with low acidity and alcohol in the 14% range. 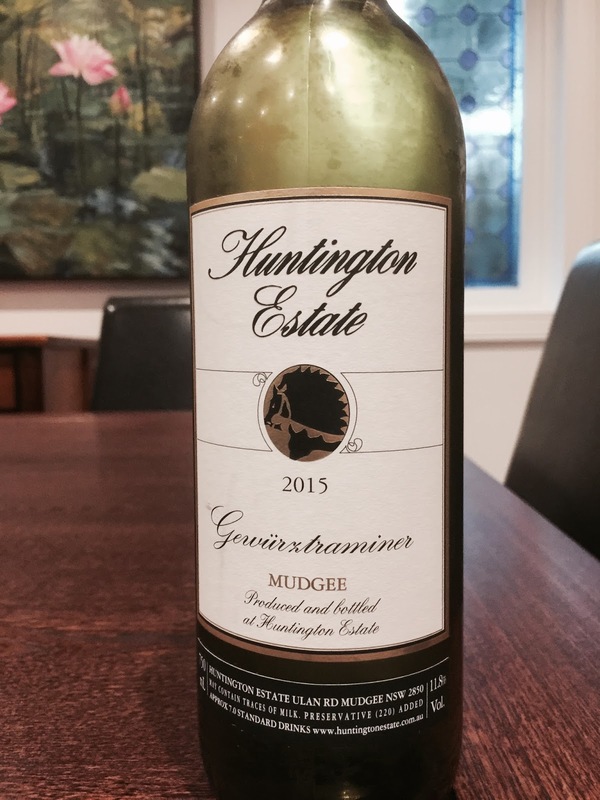 The 2015 vintage from Huntington Estate in Mudgee has classic Turkish delight and lychee perfume by way of aromatics. The palate is fresh and linear, the typical joy of this grape variety on a tight leash.